Riding ones bike on the road can be a pleasant but sometimes dangerous pastime and if you are an experienced rider, you will already be aware of this fact. Having ridden on the road for many years and never suffered any injuries yet had my fair share of close encounters, my luck came to an abrupt end earlier this year. On a training ride and only 500m from my house, I was hit by a car on a roundabout. Clearly, the driver had never seen me. Injuries sustained were quite extensive but not life threatening so I managed to leave the scene as a walking wounded complete with a totally wrecked bike and clothing shredded. The driver admitted at the scene that he had not seen me. I'm not sure how, as I was dressed top to toe in day-glo and a bright orange bike into the bargain. He stated that he would pay for everything and told me not to worry so we swapped details and after my visit to A&E I contacted him to notify the damage to me and my bike/clothing etc. Once he realised the overall value, I never heard from him again so I headed off to the Police station to see if he had reported the incident which he had not. I asked on social media for a recommendation of someone from the Legal profession who might take my case on as the driver had now buried his head in the sand. Cycle Law Scotland was the choice of many who responded. I was directed towards Jodi Gordon in the first instance and she immediately took control and directed me through the process of starting legal proceedings. I had physio arranged the same week of contact and with my Police incident number, which is really important to get, Jodi could start the ball rolling on building a case to compensate me for my injuries and bike/clothing which had been totally destroyed at the time of the incident. The next phase was to get an assessment from a private consultant in the medical profession to ascertain the extent of my injuries. Jodi organised this all seamlessly. Once she had the outcome of this, then she could start to press the Insurers for the compensation claim which again was dealt with in a very short timescale. Jodi at Cycle Law Scotland was able to get my full claim settled in under 6 months from the date of me being struck by the car. This was incredible with my input into this being minimal during all times. 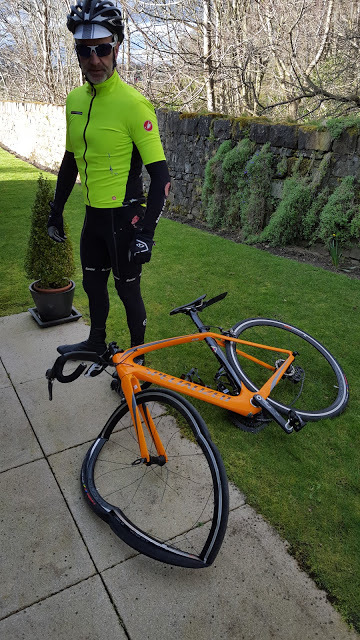 I would like to thank Jodi and her team at Cycle Law Scotland for dealing with my case and minimising the stress along the way and I am glad to report that I will make an almost full recovery despite my injuries.